Looking for private in-home or in-studio Drawing lessons? Our Brisbane teachers are ready to get you started. Find your teacher today! Deron C. has had over 10 years of experience teaching other how to use drawing materials ranging from ink to pencil to charcoal to chalk to oil pastels. Learn how to use these materials and more. Draw what you see whether the reference material is a photograph or a three-dimensional still life. Understand color theory and composition. Improve your creativity while improving your technique. Have you always wanted to be a fashion designer but have trouble getting your ideas on paper? Not to worry! I specialize in figure drawing and rendering, and have taught at the university level. I can teach pencil, charcoal, pastels, art markers, and watercolor. Even if you've never drawn before or you're not sure if you can draw people, I will make sure you leave feeling great about what you've created! Hello, and thank you for visiting my page! I have been an artist for my whole life and I am passionate about sharing my love of creativity with others. I earned an MFA in Costume Design from UCLA in 2007 and have been a freelance costume designer, college professor, photographer, illustrator, and jewelry designer. As much as I love to create, what I really love is to help somebody learn to do something they love and create something they can be proud of! I am happy teaching all ages, and I specialize in helping each student find his or her unique vision. ation. Photography is my other passion, and I look forward to helping you understand how to use a camera's many features, and your eye, to create art. Sarah is a fantastic teacher: patient, knowledgeable, thoughtful and friendly. I'm looking forward to many more sessions with her! Margarita has been teaching art classes for over 10 years. She's obtained her art degree from the Academy of Art University in San Francisco, CA. * Group lessons for max of 6 students per class. The art classes are designed according to Art University standards and curriculum, and best suit students with a big interest in arts. Each one of the students has an individual study plan assigned (taken into consideration the student's age, the level of art skills and personal goals in art he/she wants to reach.) The lessons consist of an art lecture, art project (drawing, painting etc.) and homework. - Art Exploration Class - The Art Exploration Class is designed for students, who would like to try different forms of art. The projects include: collages, drawing, play-doh, papier-mâché, pyrography , polymer clay, painting etc. Margarita is a VFX & Compositing Artist and a Fine Arts Instructor based in the San Francisco Bay Area. She has obtained Bachelor of Fine Arts Degree from the School of Animation and Visual Effects at the Academy of Art University, San Francisco, and Associate of Art Degree in Graphic Design. als abroad and in the US. Margarita has taught fine arts classes at several schools in the San Francisco Bay Area and currently she is an Art Instructor at Gundolina Art Studio, where she effectively teaches art appreciation and promotes creativity among her students. Favorite quote: “Art washes away from the soul the dust of everyday life.” – Pablo Picasso. My son is a beginner in drawing and is a bit apprehensive about his drawing skills. I really appreciated and liked Margarita's approach, setting music to create a relaxing atmosphere for drawing, explaining the steps, and the foundation for sketching. I think we approached drawing wrongly and after the lesson I changed our way. We play music now (which he likes) and he is drawing more often and is more relaxed. My daughter attends Ms Maggie's art exploration program. Ms Maggie is very patient with children and brings out the best in her students. My daughter has learnt a lot of techniques in art under her guidance and looks forward to art class every week. I'm so happy and grateful that my daughter has a wonderful art teacher. Search no further if you're on the lookout for an art teacher for your child. I worked with Margarita on a short film, ''Helena's Dream'' and her artistic skills and keen eye for details are awesome. She is an honest person and anyone working with her will be happy with the results ! Become the artist you always wanted to be! 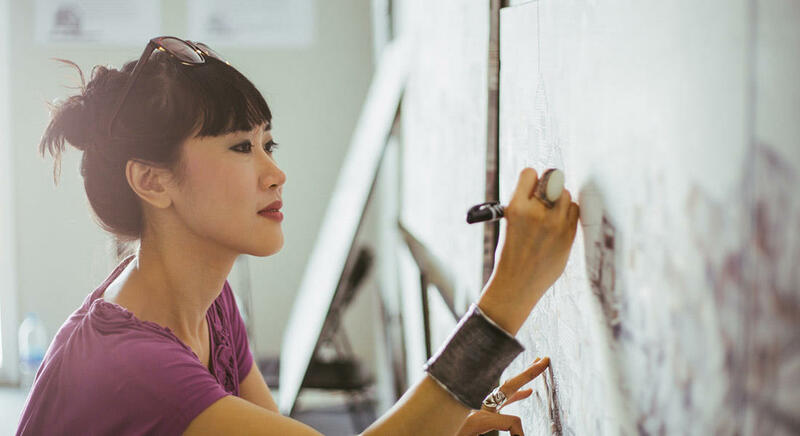 Whether you are an aspiring artist, a total beginner, a teen building a competitive portfolio, or someone who's always wanted to learn to draw, I will help you develop your technical skills and find your voice as an artist! In our lessons, you will draw from life, exploring composition, concept, and mood through creative assignments. We will train your eye as you draw still lifes, landscapes, portraits, figures, and beyond! I will show you examples of historical and contemporary drawing as we practice a range of techniques. You will gain confidence through practice and experimentation as you work towards developing your own style as an artist! And most importantly, you’ll have fun! I can’t wait to work with you! I’m Kathy and I am a professional artist in San Francisco! I received my Masters of Fine Arts and the San Francisco Art Institute and my Bachelors degree at Skidmore College. I make painting and textile-based 3D installations and have shown widely in the Bay Area, New York, and Chicago. I was a 2016 Artist-In-Residence at Recology and a 2017 Artist-In-Residence at the Lucid Art Foundation. I also have some exciting opportunities on the horizon! I’m passionate about arts education, interdisciplinary thinking, art history, ecological stewardship, and color theory. I love teaching art! ression. I love helping my students learn and grow as artists. I’m passionate about art history and color theory. In our lessons, not only will you learn how to draw and paint, you will also learn the cultural history around the subject. I will show you historical and contemporary examples of artwork that fit thematically with our lessons. We will have engaging conversations about art while we draw and paint. I can also point you towards art openings happening around the Bay Area. My personal teaching style is patient, constructive, and encouraging. With practice and hard work, I can help you achieve your goals. Other things I love include: Spending time in the Great Outdoors, listening to Billie Holiday, and cooking elaborate meals! Kids loved the story based drawing fun! Kathy has been a wonderful teacher and inspiration for our 10-year old daughter. Cora has learned so much and enjoyed every lesson with Kathy, who has been an affirming and talented teacher. Cora was very happy with her first lesson! Hello there, My name is beri. I am 32 years old and iv been drawing ever since I was 7 years old and I still love it. I also do graphic design work. Drawing skills can translate very well into fields such as Graphic design, fine arts, interior design and so on. I'll leave and example of my drawings so that you can decide for yourself wether I'm the right teacher or not. Thanks. *I was tutored by an artist from 7-12 years old. *Minnesota school of art institute as a young teen. I have had a couple of Art exhibits at the Art Works Downtown in San Rafael, Ca. My web business name is BeriArt. You can search that and get to see my work. Thank you. e if the essentials of drawing while incorporating subject matter that would inspire and motivate him. I would highly recommend her if you are looking for personalized and knowledgeable instruction." that worked best for me without being overwhelming. Starting from the technical aspects of drawing to the conceptual aspects such as mark making and what drawing meant in a fine art context, she has got you covered. She is very professional, kind and works with you to get the best out of you." that "I'm not good at art" or "I'm not creative". She makes art - and life - feel joyful and safe. She is a wonderful person with an enormous heart and open mind. Adults and kids of all ages feel comfortable with her immediately because her loving nature tells us we can trust her. I look forward to taking another class from her. --- parent of 7th & 9th graders in Woodside"
San Francisco, CA teacher: Liz A.
feel like I learn something new and valuable each lesson. I highly recommend herand plan on requesting her again." "Sarah is a very patient teacher who has great skills herself, but is not at all intimidating to learn from."